This is a hand shaped EPS blank with epoxy lamination and vacuum bagged bamboo deck. These boards are extremely light and extremely strong. This construction cost $480 as a clear sand finish. This cost less then the Chinese Fire Wire boards and it’s made in Hawaii. 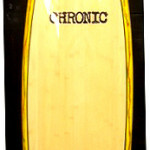 The board in the picture has rasta marble foam stain bottom, pin line and gloss finish. This board in the picture costs $599 with all the color and gloss finish.